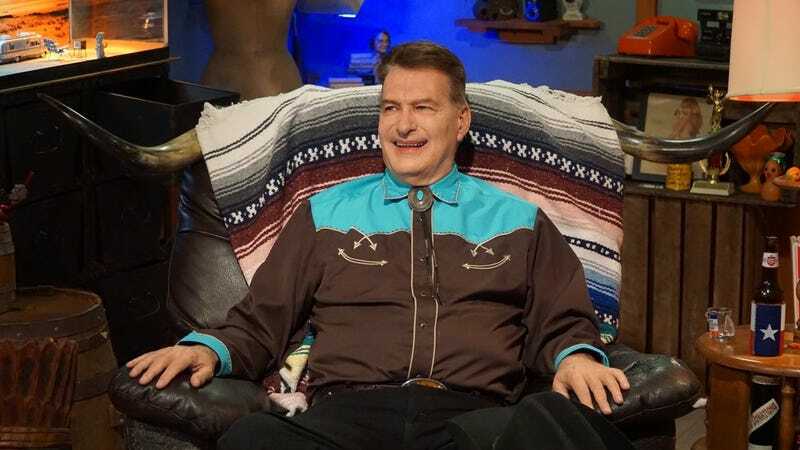 Joe Bob Briggs, horror’s resident good ol’ boy, literally broke streaming service Shudder when he commandeered the platform earlier this month for a live B-movie marathon. It was supposed to be a one-off appearance, but Shudder has announced that the former host of Joe Bob’s Drive-In Theater and MonsterVision will be back later this year. “Due to overwhelming demand, we’re bringing @therealjoebob back later this year!” Shudder wrote in a recent tweet. An articulate and charismatic curator who educates as he entertains, Briggs’ approach is an art that’s all but lost in the streaming generation. As we wait for his next special to take shape, crack open a Lone Star and see him at work in the below clip from his server-crashing return.